On Saturday, April 20, celebrate the 10 Annual World Circus Day by eating ice cream and supporting Circus Harmony! World Circus Day celebrates the joy of circus arts. 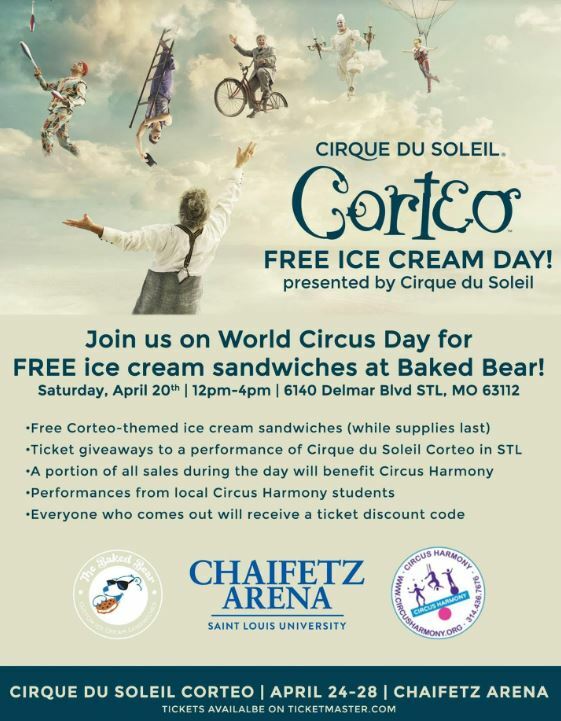 In collaboration with Cirque du Soleil, Chaifetz Arena, and Baked Bear St. Louis, we will be having a special World Circus Day party at and YOU are invited! In honor of Cirque du Soleil coming to the Chaifetz Arena and World Circus Day, Baked Bear STL has created a special Cirque de Sandwich: birthday cake ice cream sandwiched between fresh baked funfetti cookies and rolled in rainbow sprinkles! On World Circus Day, at their store at 6140 Delmar Blvd, Baked Bear St. Louis will be giving away a limited quantity of these delicious Cirque de Sandwiches and Circus Harmony’s flying children will be performing in and around the store with their own exuberant circus joy. In addition to the limited supply of the free Cirque de Sandwiches all their other delightful flavors of cookies and ice cream will be available for purchase. Twenty per cent of all proceeds on World Circus Day will go to support Circus Harmony’s Flying Children Scholarship Fund! Circus Harmony’s flying children will be performing from noon to 4PM, and 20% of all proceeds from other ice cream sandwiches sold that day will got to support Circus Harmony’s Flying Children Scholarship Fund! 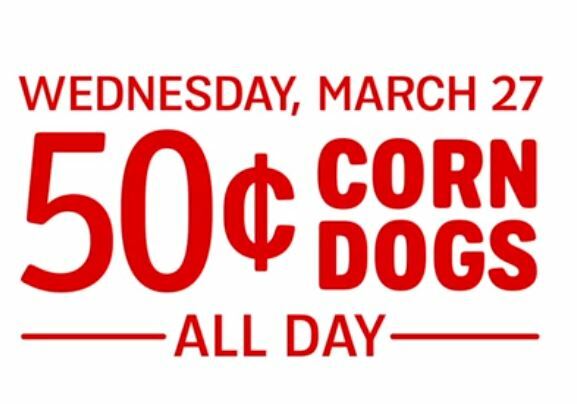 Head to Sonic Drive-In on Wednesday, March 27th for 50¢ Corn Dog Day! Don’t forget that you can also skip the line, and order ahead in the SONIC app. 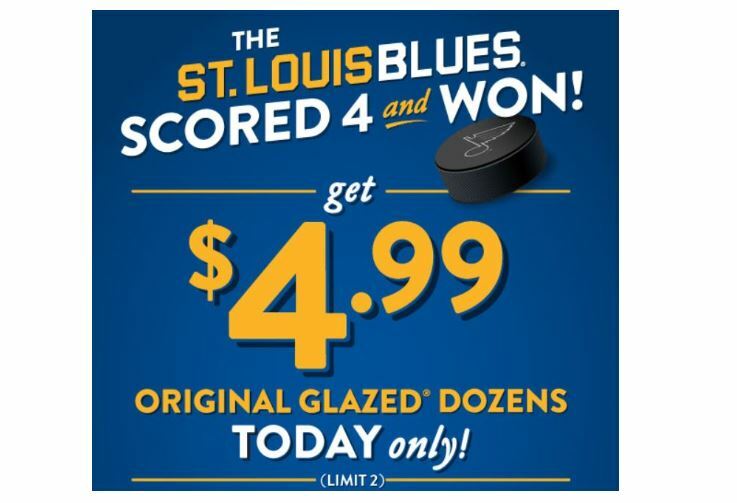 The Blues scored 4 and won so today, March 22th, you can get a dozen original glazed doughnuts for $4.99 (limit 2). 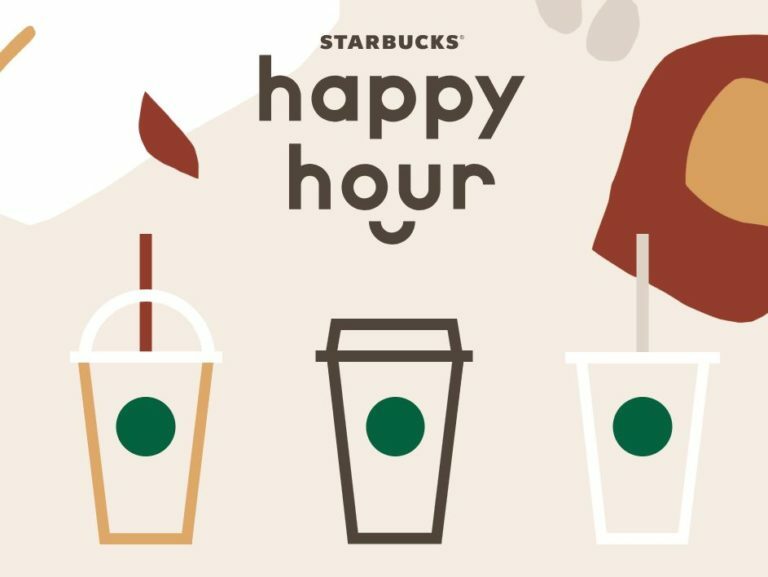 Today, March 21st only, starting at 3pm, head to Starbucks where they will be offering 50% off Grande or Venti Espresso Drinks during their Happy Hour Event. To get the offer you now have to download the app. That is the only way to view your coupon. Note, this offer is only valid for a one-time use and cannot be combined with other offers or discounts. The Blues scored 4 and won so today, March 20th, you can get a dozen original glazed doughnuts for $4.99 (limit 2). March 20th head to a a participating Dairy Queen and get a free small soft serve cone in honor of FREE Cone Day! No coupon needed. Participating locations only, so call ahead. 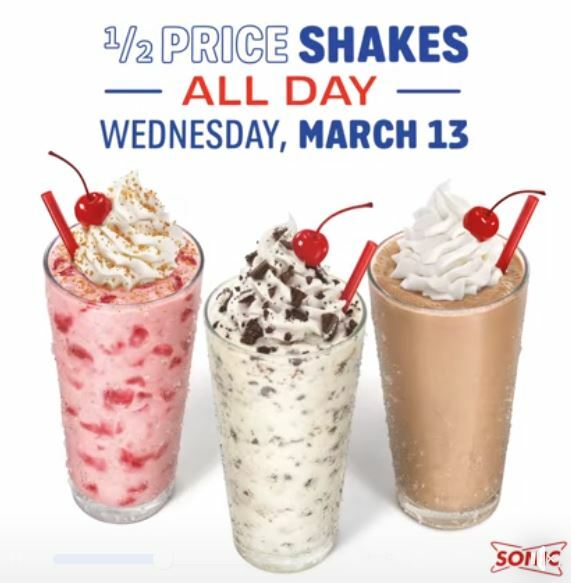 Wednesday, March 13th cash in on 1/2 price Shakes all day at Sonic! 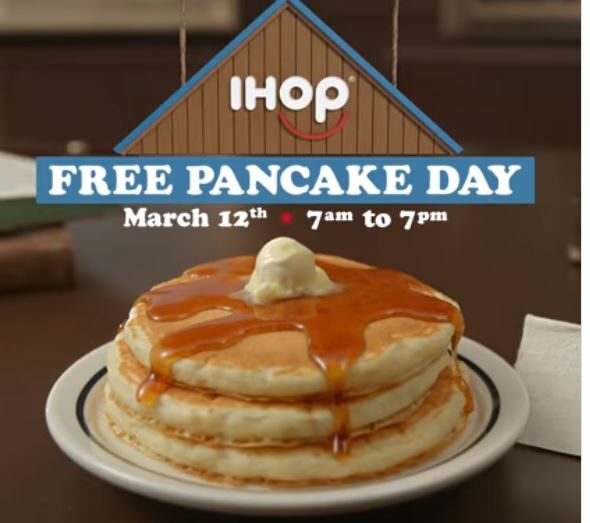 IHOP is offering a FREE short stack of Buttermilk Pancakes on March 12, 2019, from 7 am to 7 pm, with select locations until 10 pm. The Blues scored 4 and won so today, March 8th, you can get a dozen original glazed doughnuts for $4.99 (limit 2). Head to Dairy Queen for Buy One Blizzard Get One for $0.99! Participation may vary so you may want to call ahead to make sure your local store is offering the deal..